Marvel’s latest mega -blockbuster is as bold as you’d expect from a franchise always willing to push at the restraints other blockbusters are hemmed in by. 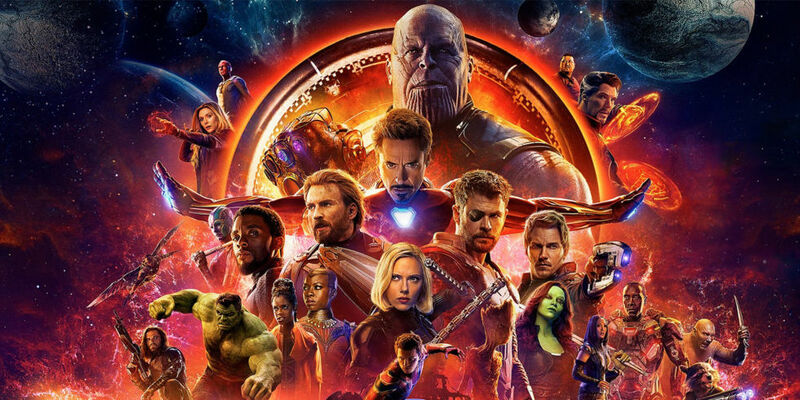 It takes what could easily be problems- an enormous cast from differently flavoured films and the need to invent an even more invincible all powerful enemy than the previous ones- and uses them to its advantage. It’s surprisingly lean when you consider the size of the cast and the two and a half hours running time. Yet there is still time for those smaller considerations and character beats that give the film a human touch. Reviewed by Chris Arnsby. 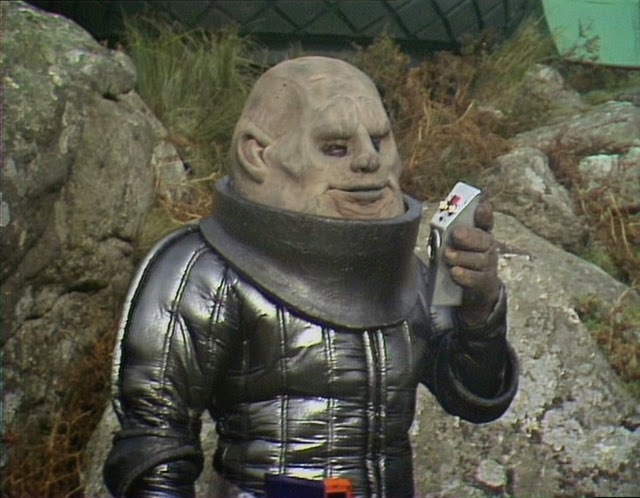 Andy Peebles: "Hello, good evening, and welcome to this evening's edition of Top of the Pops." Gary Davies:" We've got a great show lined up for you tonight and we start with our Eurovision song, I'm Never Giving Up, this is Sweet Dreams." Sweet Dreams: I'm Never Giving Up. Andy Peebles is late to the Top of the Pops party. He joined Radio 1 in 1978 but only started hosting duties in 1982; also, BBC4 have skipped his first three editions due to other unacceptable presenters. 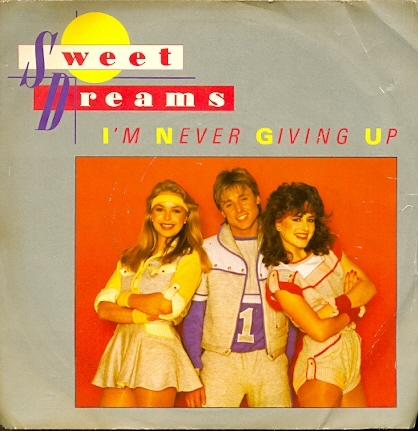 Sweet Dreams are the great hope of Eurovision glory for 1983. They boldly follow in the footsteps of Bardo by being bland Bucks Fizz wannabes. They don't win. 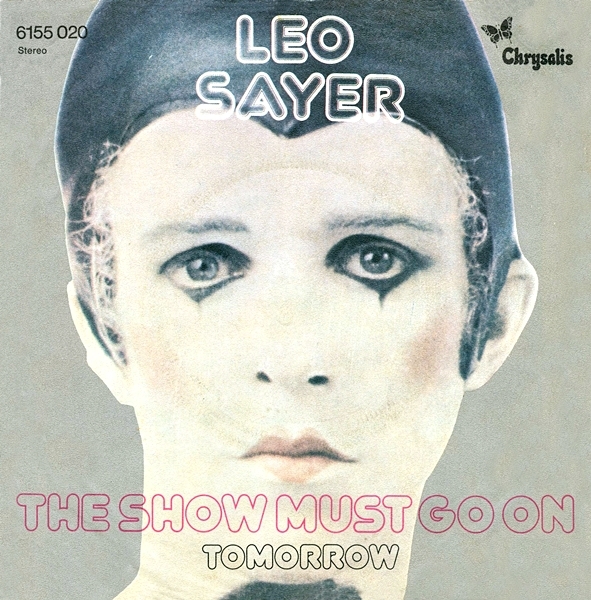 There was a moment- and in terms of the size of pop music it really was only a moment- when Leo Sayer seemed like he was the new David Bowie. To the general public he arrived fully formed and a bit weird. His first hit `The Show Must Go On` spliced a music hall melody with raspy lyrics and was performed by the singer dressed as Pierrot (in a costume made by his wife) some seven years before Bowie himself sported this sort of look. As a package the irresistible song and image seemed to herald the arrival of a daring new artist. Doctor Who blog is back! I’m pleased to say that my specialist Doctor Who blog - now called Space Time Telegraph- is back online and can be found here www.spacetimetelegraph.blogspot.co.uk . I’ve been undecided for a while whether to keep a separate one or not (which is why it kept appearing and disappearing like a Tardis) and in the end it seems to make more sense to do so. It won’t be updated anywhere near as much as this blog but there’s plenty of stuff already there. This includes reviews of Peter Capaldi’s final series, look backs at some of the great 70s and 80s books about the programme, accounts of conventions across the 1980s and 90s, full season 14 reviews including clips from fan reviews at the time as well as commentary on developments such as the speculation over the next Doctor and Jodie Whitaker’s subsequent casting. Plus, as they always say, lots more. So if you like or love Doctor Who then please check it out and watch out for the latest posts in the Places to Visit box below. Renowned Universal vlogger Styreisnotonfire tells his followers Space Time Telegraph is back! Reviewed by Chris Arnsby. Simon Bates: "It's exactly 7.25. Welcome to studio 3 for a live presentation of Top of the Pops. Now, all the bands are here, though some of them may be miming tonight." Peter Powell: "But we start off! For starters! Right! We give you The Celtic Soul Brothers! This is Dexys!" 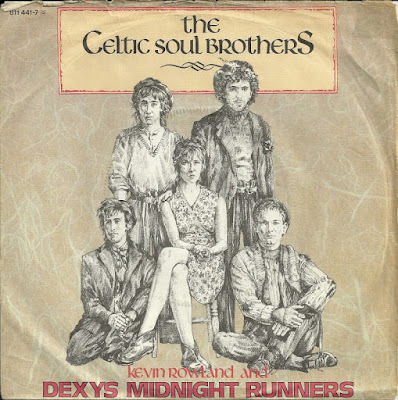 Dexys Midnight Runners: The Celtic Soul Brothers. Two weeks of data are missing from BBC Genome. Hold me. Radio Times went unpublished in the weeks of 2nd and 9th April due to industrial action. This is only relevant because I use BBC Genome to give me a heads up on what editions of Top of the Pops were broadcast live. I wouldn't normally rely on Simon Bates to tell me the time and yet here we are. This is the second time round for The Celtic Soul Brothers. It was first released just over a year ago and peaked at number 45. Now, in the wake of Come On Elieen, it's been given a second chance. Watch out for the mystery man who kneels down at the edge of the stage, just beyond where violinist Helen O'Hara, is standing. He's wearing a smart shirt and tie, so I guess he's a member of the production team, but what is his job? He's there for the whole performance. He's not holding a camera although there is a cameraman lurking in the same general area. Maybe his job is to stop the audience becoming tangled in the camera cable? Or, it could be a sighting of the elusive Floor Manager Tony Redstone. Virgin’s recent two ads for their latest stuff have been brilliant! First there was the idea that various characters and vehicles from very strand of television were charging together up the pipe which resembled a tunnel. The latest – called `Entertainment in Harmony` was launched at the turn of the year and created by BBH London. It is even better drawing in iconic modern TV types and then making them dance! It starts with the declaration “That chick is a sick individual” and the music - Missy Elliott’s 2005 track `We Run This` - kicks in. The premise is similar to the previous ad bringing instantly recognisable tv types together this time in dance. So it starts with Orange is the New Black, then The Walking Dead, Game of Thrones and so on. There’s even a detective and his team and when they start dancing so does the white outline of a body on the floor in front of them! Most `true story` movies are about famous or well -known people written and directed by other people. 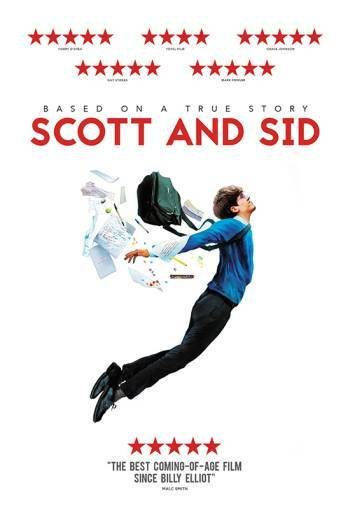 Scott and Sid is a film made by Scott and Sid about, erm, Scott and Sid. Scott Elliott and Sid Sydowskyj are/ were two Yorkshire based teenagers who aspired to ambitious plans and compiled a list of things they really wanted to do. Some of them were silly or puerile, others more ambitious. By the time they were 24 they had made large amounts of money via several business ventures and a little fortuitous happenstance along the way. It sounds unlikely and if you read the synopsis in full you’d think- no way could this have actually happened but it actually did. As you’ve probably guessed the latest addition to that hand scrawled list was to make a movie. And this is that movie. Reviewed by Chris Arnsby. Steve Wright: "Good evening and welcome to another Top of the Pops. Sorry about the studio tonight. It's a bit messy, we're spring cleaning and we couldn't get all the scenery in. Richard Skinner: "But we've made with it with some excellent live bands in the studio. All of them. Kicking off with New Order. Playing live. Singing Live. With Blue Monday!" 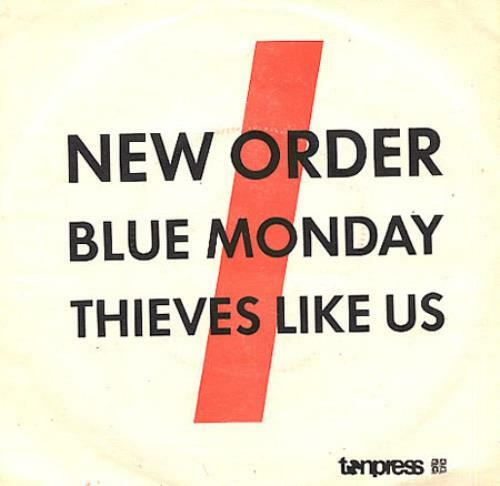 New Order: Blue Monday. Welcome to Easter 1983. Richard Skinner is very excited. Maybe it's the presence of the Easter Bunny (some poor audience cheerleader in a furry bunny suit, clutching a basket). Whatever the cause, Richard Skinner is peaking at approximately 0.75 Peter Powells (or 0.9 Cheggers for those of you who prefer imperial measurements). Despite his overuse of the word "live" it's not actually clear if this show is live. BBC Genome doesn't think so, and it seems unlikely that BBC1 would schedule two live editions back-to-back. New Order are definitely -and defiantly- live but they seem oddly subdued. You'd think they'd be over the moon at being allowed to sing and play live in studio but for some reason they seem almost embarrassed. Bernard Sumner is doing a remarkable job of hiding as much of himself as possible behind the microphone stand. Stephen Morris probably summed up this ramshackle performance best on Top Of The Pops: The Story Of 1983, "we made the cardinal error of looking like we were miming but actually playing it live."